Be still my beating heart. 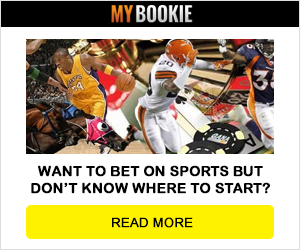 The top sportsbooks online are already talking about the 2018 season. Even though we still have to wait a couple more months for the official kickoff. And we also have to get through the preseason before that. But if we consider that the 2018 NFL league year starter back in March, then even some of the best betting sites have already fallen behind a few months. Thus, without further ado, let’s get to business and take a look at the best NFL games to bet on Week 1. They say that birds of a feather flock together. And the Eagles and the Falcons are two of the most exciting teams of recent years. The Eagles are of course your current reigning and defending Super Bowl champeens. Philly is returning the majority of players from last season league-winning roster. That includes Jay Ajayi in his first full season with the team. And of course, wunderkind Carson Went, recovered from injury. Meanwhile, the Falcons will not only attempt to return to the Super Bowl, but become the first team to play the Super Bowl in their home stadium. Dak Prescott and Ezekiel Elliott had a maiden season to remember. Then they had a second season to forget. Especially Elliott, whose issues off the gridiron lead him to have to sit out several games. But if rock bands can bounce back from the dreaded sophomore slump, so can football players. We can only hope the Dak Pak will return with a vengeance in 2018. While not as bad as Elliott, Panthers QB Cam Newton’s non sequiturs also landed him in trouble with the ladies. However, the Dabmeister will be looking to build on the momentum that saw him return to form in 2017. The Pats are always the darlings of top sportsbooks online. As a matter of fact, they are once again the favorites to win Super Bowl LIII. And they shall remain so as long as Tom Brady draws breath and sets foot on an NFL gridiron. Going on 41 years of age, the GOAT has not missed a beat. Moreover, unsung hero wide receiver Julian Edelman expected to be ready to play by the 2018 training camp. And speaking of recovered key players, Houston Texans QB Deshaun Watson underwent successful surgery on his right knee to repair his ACL, and no further knee damage has been reported. Watson set several league and a couple of franchise records in just seven games. The Browns. The reverse Patriots, as far as top online sportsbooks are concerned. In fact, Cleveland is kind of like the Bizarro city. How else does one explain the fact that Hue Brown still has a job after going 1-15 and 0-16 the last two seasons? According to linebacker Christian Kirksey, the Browns will be in the playoffs this year. Yeah, maybe in Madden. As for Pittsburgh, Ben Roethlisberger did not retire after all. As a result, the Steelers retain their status as strong contenders. Those are a few of the most interesting and promising games scheduled for the first week of NFL action in 2018. Once again, we’re still a couple of months of. A lot can change in that time, which is an eternity for football fans. Injuries, trades, sudden retirements, and just as sudden comebacks. Anything and everything can happen. As we near the official kickoff, and most of the chips have fallen into place, we’ll be able to make pretty accurate predictions as to what will transpire.